Subject: Shah Gilani: "You've Got To Be In It To Win It"
Shah Gilani: "You've Got To Be In It To Win It"
Stock Market this Week: Will Dow Soar Past 15,000? Is "Dow 16,000" a Reachable Target? 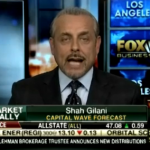 Appearing on Fox Business, Capital Wave Strategist Shah Gilani engaged in the age old debate: Bullish or bearish? Shah made the bullish case, saying the stock market's rising and investors may want to jump in. "I think you got to be in it to win it," Gilani said. "You got to stay in the market as long as the trend is up." On the other side was Dan Shaffer of Shaffer Asset Management. He had a decidedly bearish view, warning of a "deflationary depression"
Check out the lively debate between Gilani and Shaffer in the accompanying video. The first trading day of June got off to a muted start at the opening of the stock market today. Shortly before noon, the Dow Jones Industrial Average added 34.66, or 0.23%, to 15,150.23. The Standard & Poor's 500 Index slipped 6.42, or 0.39%, to 1,624,32. The Nasdaq gave back 33.87, or 0.98%, to hit 3,422.04. Market participants were hoping for a rebound in today's stock market following Friday's steep sell-off. Jitters over tumbling Japanese stocks and worries about the Fed winding down its market-supportive bond-buying program sent stocks spiraling Friday, the last trading day of May. The stock market today is off to a strong start with the Dow Jones Industrial Average up more than 150 points around noon. Right out of the gate, the Dow advanced 107.78, or 0.70%, to 15,410.88, the Standard & Poor's spiked 14.82, or 0.90%, to 1,664.42, and the Nasdaq jumped 40.47, or 1.17%, to 3,499.61. Boosting the stock market today were accommodative comments from international central banks that the printing presses won't be turned off anytime soon. The Bank of Japan and the European Central Bank both reaffirmed that their easy money policies will remain intact as long as necessary. The news sent European and Asian markets all up more than 1%, with the momentum spilling over to the United States. It was a muted start for U.S. equities when the stock market today (Monday) opened. But by mid-day, the bulls were back and benchmarks marched higher. Year-to-date, the Dow is up 17.17%, the S&P up 16.92% and the Nasdaq 15.88%. Moreover, the number of stocks in the S&P hitting 52-week highs rose to 37.2%, according to Bespoke Investment Group, proof the rally is indeed broad based. The stock market today (Monday) paused on news that a U.S. Federal Reserve policy shift may not be as far away as people think. Just before noon, the Dow Jones Industrial Average was lower by 34.22, or 0.23% at 15,084.27. The Standard & Poor's 500 Index was flat at 1,632.97. The Nasdaq eked out a 0.02% gain, or 1.08 points, at 3,438.12. Last week, equities continued their seemingly unstoppable climb with the Dow and the S&P closing at records several times. The Dow ended the week up 1%, the S&P 1.2%, and the Nasdaq 1.7%. Now with all three indexes up 15% year-to-date, many investors have turned cautions. Celebrations of the S&P 500's recent string of all-time high closes have been premature, as it turns out. Yes, the Standard & Poor's 500 index set another nominal record today (Tuesday) with a close of 1,625.96. But that doesn't account for inflation. If you apply Yale Professor Robert Shiller's CAPE ratio, the S&P 500's all-time high was somewhere north of 2,000 back in the year 2000 - some 24% below today's record close. While that might sound like great news for Wall Street's bulls, Shiller's data - which has proven strikingly accurate at predicting long-term market trends - isn't nearly so optimistic about where the markets are headed over the next decade. 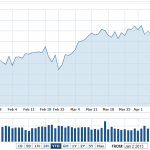 The Dow Jones Industrial Average hit 15,000 Friday - so will the stock market this week see another new high? 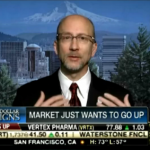 Money Morning Chief Investment Strategist Keith Fitz-Gerald joined FOX Business' "Varney & Co." program Monday morning to discuss how much higher the market can go. Listen to Keith's take on what's ahead for investors. The month of April brought in more than 1,000 comments, questions, posts, shares, "likes," and emails from you and your fellow readers. That's an Insights & Indictments record. It shows that you're thinking, that you're mad as hell about what you see, and you want to do something about it. First, please keep helping me get the word out about the crimes and lies being perpetrated by our "leaders." Forward these emails; share my articles online. Spread the word however you can. Together, we can make our voices heard. We can make this country better for our kids and grandkids. Second, at your request, I'm working on something big. I believe this could be the vehicle for the change you all want to see. We're going after the "permanent political class" getting cozy in Washington in a brand-new way. And don't think Wall Street is safe. We're going after them, too. We're going to shake them both up and demand reform. I saw some brilliant comments and questions from my last two articles - about Congressional term limits and breaking up the too-big-to-fail banks. For today's Q&A, I purposely didn't include those. I want to address them in a different way. You'll see what I mean. Lots else to cover this month... so let's get to it. Barron's April 20 cover showed a cartoon bull on a pogo stock, with the exclamation "Dow 16,000!" So what's the investor takeaway - are we all in to 16,000, or is it a contrarian signal to watch out for a looming market pullback? Money Morning Chief Investment Strategist Keith Fitz-Gerald joined FOX Business Network's "Varney & Co." program to answer that question. Watch the following interview with Fitz-Gerald to find out. The stock market today (Tuesday) paused after kicking off the week with strong, across-the-board gains that took the Standard & Poor's 500 Index to an all-time closing high. The S&P rose 11.37 points Monday, or 0.7%, to close at 1,593.61, a hair above the index's April 11 record of 1,593.37. The Nasdaq tacked on 27.76 points, or 0.8%, to 3307.02, its highest close since 2000. The Dow Jones Industrial Average climbed 106.20 points, or 0.7%, to 14818.75, inching closer to the anticipated 15,000 milestone. Shortly before noon Tuesday, stocks took a breather. The Dow dipped 32.62 points, or 0.22%, at 14,786.13. The S&P slipped 1.95, or 0.12%, at 1,591.66. The Nasdaq notched a gain of 5.2%, or 0.16%, at 3,312. As markets march into May, trading is expected to slow. 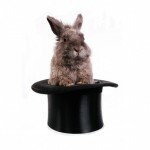 The old "sell in May and go away" adage has many preaching caution. Bespoke Investments reports two of the ten worst months of May in S&P's history have occurred during the current bull market (2010 and 2012). U.S. equities followed Europe's lead and headed higher when the stock market today (Monday) opened. Wall Street's mood was lifted after Enrico Letta was sworn in as Italy's prime minister, ending weeks of political gridlock in the ailing European nation. The news also propelled Italian stocks up more than 1%. Shortly before noon, the Dow Jones Industrial Average was up 68.55 points, or 0.47%, at 14,781.10. The Standard and Poor's 500 Index was higher by 8.59, or 0.54%, at 1,590.83. The Nasdaq climbed 26.72, or 0.81% at 3,305.98. Another lift to the stock market today came from a report on March consumer spending. The read was 2%, much better than and 0.1% rise economists had expected and up from a 0.7% gain in February and a 0.4% advance in January. With just two more trading sessions left in the month, U.S. stocks are set to end April with gains. That would mark the fourth consecutive positive month for equities. But it's about that time when the familiar spring swoon weighs on stocks in the near term. According to data from Bespoke Investment Group, over the past 30 years, an investor who bought the S&P 500 Index every Oct. 31 and sold the following April 30 would have reaped a 898% gain. In contrast, buying every April 30 and selling every late October would have returned just 56%. Coming off the worst week of the year, U.S. equities were mixed in the stock market today (Monday) at we kick off a big week for earnings. In mid-afternoon trading, the Dow Jones Industrial Average was down 14.19, or 0.10%, at 14,533.32. The Standard & Poor's 500 Index gained 2.50, or 0.22%, to 1,558.93. The Nasdaq was up 20.17, or 0.63%, to 3,226.23. Gold, which lost 7%, or $105.70 a troy ounce last week, was down 20 cents, to $1,426.30.